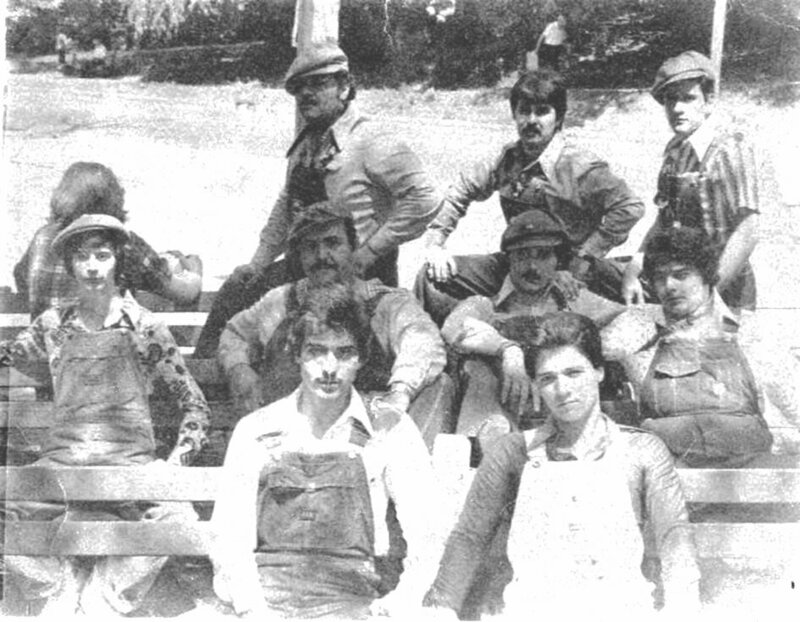 Promo photo in Forest Park. 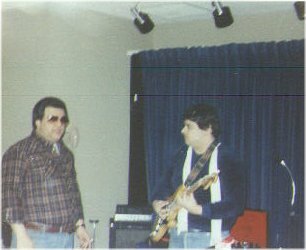 Management was thinking of changing the band name to "10 Different People", thus the guy with his backed turned (who was actually a neighborhood musician named Kenny Mauer. 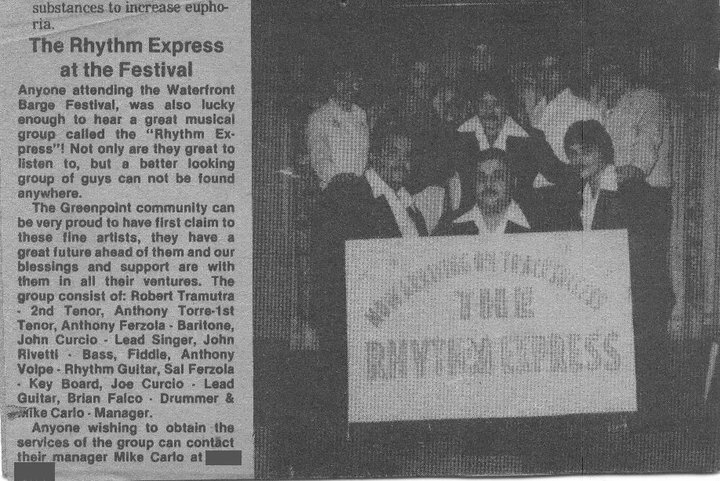 The Rhythm Express was formed late 1975, early 1976. Their first manager was Mike Carlo. It included former members of local bands like Tarkus, Southern Earth, and local vocalist. 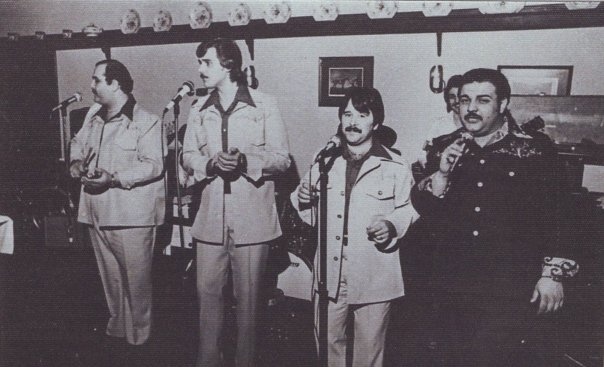 Their first informal gig was at Mt Carmel Feast in Brooklyn. Their 1st recording sessions were in 1977 and were followed by recordings of songs that included What a difference a day makes, Wildflower, Carnival of Love, Dancin' Memoirs, Makes me feel good inside, I'm Gonna Miss You, and 3 acapella tracks. 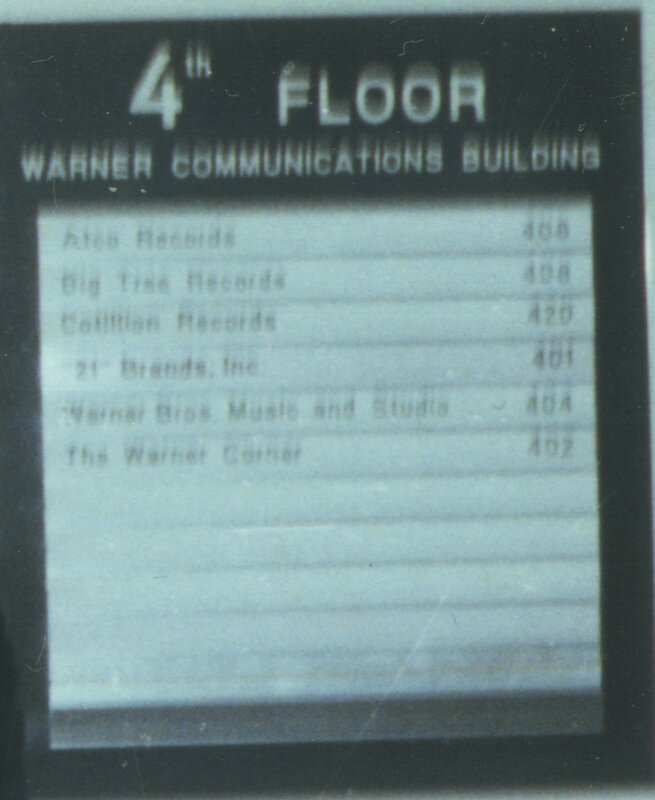 In 1979 they were signed to a subsidiary of Warner-Atlantic records known as Emerald City Records. 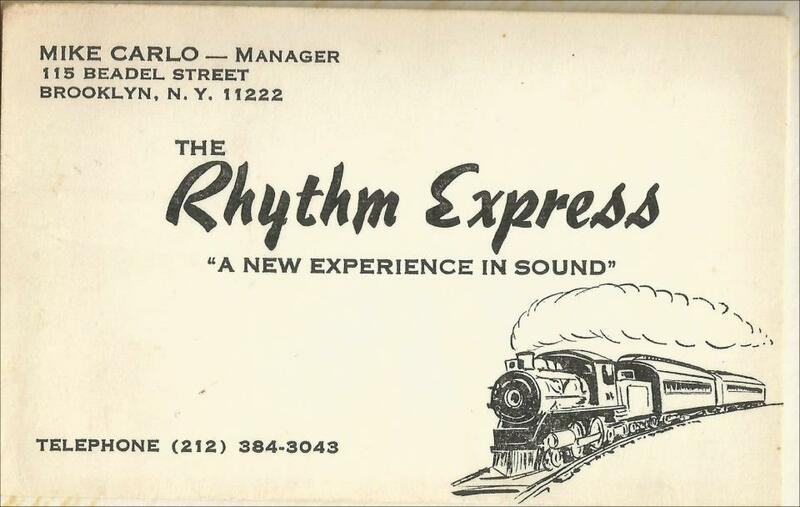 Under the short lived management of Lou Carr Entertainment, the Rhythm Express worked with some of the industrys inner-circle names of the day including Jerry Lewis (MDS telethon), Joe Franklin, and Jimmy Angel (Delite Records). 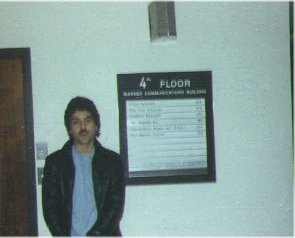 But it was a sudden change in management in the late 70s, along with the exposure, and the buzz that lead to the band opening for Deborah Harry (Blondie) at the infamous Anti-Anita Bryant festival on NYCs Christopher Street where over 10,000 danced the night (and Anita) away.